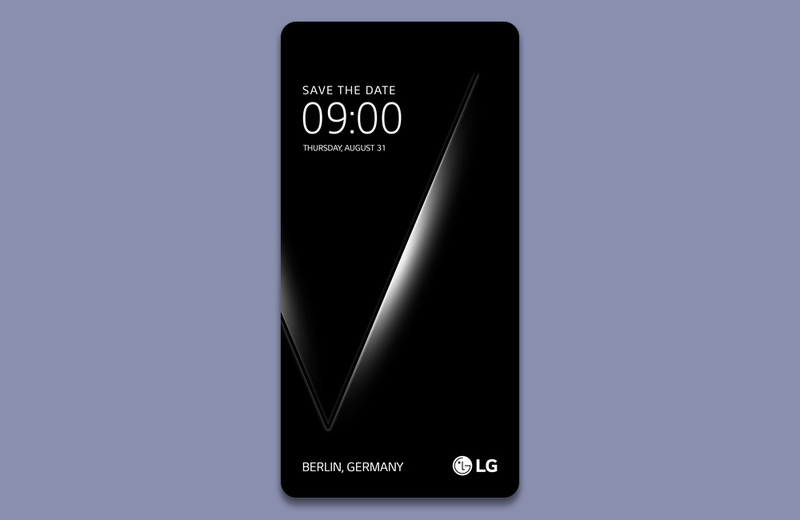 A couple of weeks ago, we heard a rumor suggesting that LG may unveil the V30 as early as late August or September, during IFA, a tech conference in Berlin. Today, the company confirmed that they are indeed hosting an event at IFA and the “Save the Date” has a big “V” across it. I’d say the V30 is coming. What do we know so far about the V30? Not a lot. We saw CAD renders of a supposed LG V30 and it looks quite nice. Well, it looks like an LG G6, only slightly bigger, perhaps. Those renders show a premium-built device with dual cameras, fingerprint reader, and FullVision display. The ticker from the V10 and V20 is gone, though, so that would be a big change for the line. How will the V30 standout then? Tough to say. The LG IFA event will happen on August 31. What do you want to see from the LG V30?